The Beverly Hills artSHOW is preparing to welcome approximately 50,000 visitors to Beverly Gardens Park on May 16th and 17th, 2015. The deadline for artists to apply to the spring edition of The Beverly Hills artSHOW is coming up this February 14th, with a late (and final!) due date of February 21st. The selection of the artists, always a competitive process, will be announced by the jury on March 11th, 2015. A special feature of the spring show will be Still Life artwork, a small but always strong category at the event. Artists working in this genre are encouraged to apply, and will be featured before and during the event. As always, artists working in all genres and many media are welcome to submit their work! The May 2015 Beverly Hills show will again feature local and national artists, family art activities, a wine garden, a beer garden, tempting food trucks and live entertainment across four blocks of Beverly Gardens Park along Santa Monica Blvd. 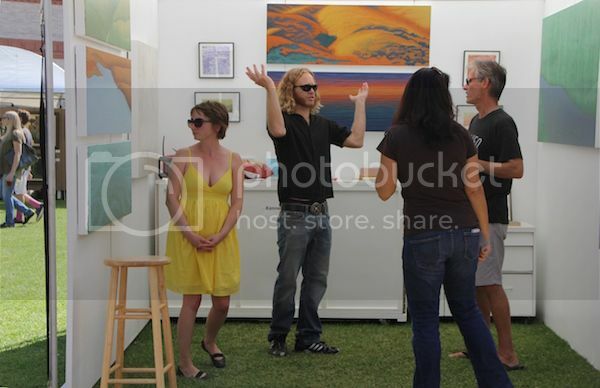 To learn more about applying to the Beverly Hills artSHOW, visit www.beverlyhills.org/artshowapp or call (310) 285-6836.